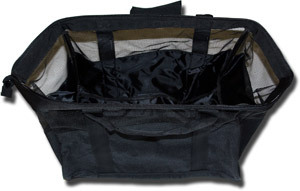 Keep your car clean and dry with our vented wader bag. The vented design allows waders to dry preventing mildew an other microbiological growth. Dimensions: 17" x 12" x 12"